The government has faced cross-party calls to scrap the beer duty escalator to protect the UK's pubs and brewing industry, during a backbench business debate on the subject on 1 November 2012. The debate was prompted by a government e-petition signed by more than 100,000 people demanding government action on the matter. 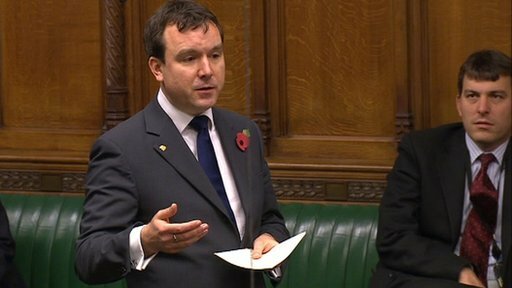 Introducing the debate, Conservative MP Andrew Griffiths, who chairs the all-party parliamentary beer group, said sales of beer had reduced "by 16%" since the escalator was introduced in 2008. This was the equivalent of "1.5 billion pints lost" or "one major brewery closing every year", he told MPs. The escalator, introduced by then-chancellor Alistair Darling, increases the price of a pint by 2% above inflation, and is due to last until 2014-15. The British Beer and Pub Association (BBPA) claims the tax on beer has risen by 42% since the escalator was introduced, which Mr Griffiths described as "simply unsustainable". By scrapping the escalator up to 5,000 jobs could be saved "in the first year alone" and the closure of "hundreds of pubs in all of our communities" would be prevented, he argued. Mr Griffiths told the minister it was a "huge opportunity to bring balance and fairness" into the duty system and support publicans and breweries. "Beer is a great British manufacturing success story and that is why we must support it," he urged. Liberal Democrat MP Greg Mulholland, who chairs the all party parliamentary Save The Pub group, said the tax "simply doesn't add up". "The simple reality is that since 2004 beer duty rates have increased by 60%, and beer duty revenue by just 10%. That is actually a significant fall in real terms." The bid to axe the escalator was supported by MPs from across the House, and many members argued that pubs are "at the heart" of local communities, while lamenting the number that are forced to close each week. Shadow Treasury Minister Cathy Jamieson told the House that Labour would support the backbench motion. She said the government's VAT hike had "hit pubs hard" by adding 5p on to the average price of a pint, and 2p on a can of beer in the supermarket. A temporary cut in VAT back to 17.5% - which Labour called for in January - would have had an impact, she argued. Economic Secretary to the Treasury Sajid Javid said the coalition had inherited the escalator from the previous Labour government, but it could not afford to scrap the tax which would raise £35m next year and £70m the year after. The government would continue to keep taxes under review, including alcohol duties, to make sure it is "on top of the impact" on industry, he said. Responding, Mr Griffiths said every MP in the debate had opposed the escalator and promised that they "will not let it rest", because the future of a "central part of our communities" is at risk. The backbench motion was accepted without a vote.